As you may already know, keeping your undercarriage clean is just as important as the rest of the car. Just because you can’t see the underside of your car doesn’t mean that it the dirt isn’t there. It’s especially important to rinse this part off in the winter, as accumulating salt from the roads can expedite rust. 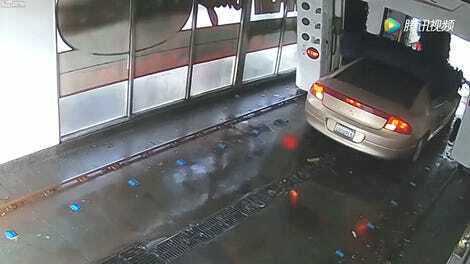 When I wash my own car, I’m usually armed with nothing more than a garden hose. It’s hard to reach under my car very well with just that, so I shell out and take it to a car wash and check the box for the undercarriage spray. But you can make your own undercarriage sprayer at home without buying an expensive tool or attachment. 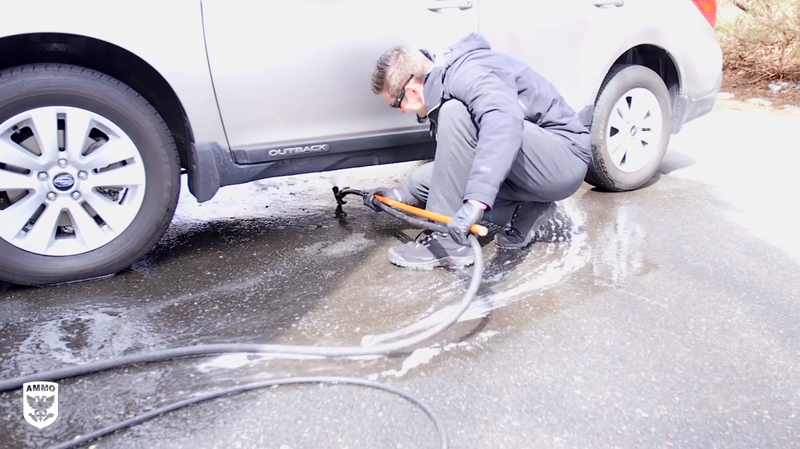 Car detailer Larry Kosilla recently uploaded a video about spring car cleaning that focuses on the processes and tools for people who don’t have access to all the fancy, professional-grade materials. The one thing that stuck out to me was his tip on making your own undercarriage sprayer (it’s at the 7:55-minute mark). It’s easy. Simply take your regular garden hose and set it to “shower” mode. While it is off and there is no water running through it, flip the trigger lock to keep that valve open and tape it to a broomstick. Lay that under the car and then open up the water flow from the spigot. That way, you can reach much further beneath the car without lying on the ground or jacking the whole thing up. Obviously, if you want to take it a step further and apply product, you can do so. But this little tip here is good for quickly rinsing off the salt and dirt that might have accumulated there. You can take a look at the rest of the video for Kosilla’s other car care tips below.